31st Jan. Verwood Youth Bands success at the Wessex Youth and Training Band Festival on the 31st January 2015. May The New Morrisons Store opens its Petrol Station and final upgrades to the Car Park which now completes the rebuilding of the new store. 25th May Verwood Carnival took place at the Fuzzy Bit off Crane Drive. The procession left the Carnival Field, went past the recreation ground, along Vicarage Road and back to the the Carnival field via Church Hill. After which "The Tigers Motorcycle Display Team", "Meredown Falconry and "Dingle Fingle Comedy Clown Act" entertained the crowd. 12th July An Afternoon "Lyons" Tea held by the Mayor of Verwood on, raised the sum of £490. for her Charities which for 2014/2015 are:- The Verwood "Heathland Heritage Trust" and the "Dorset Search Dogs" which is a charity assisting the Police, Coastguard and other Search and Rescue teams look for missing persons across the South. August Billy Andrews (Butcher) in Manor Road has now handed over the reins of the business to Mark Drinkall and Martin Moores who are the first non-family owners though they have worked for Billy Andrews for several years. The shop opened in 1954 originally. 31st August VERWOOD RUSTIC FAYRE 2015 was held at Potterne Park Verwood on August Bank Holiday Monday from noon - 05:30 p.m. It was thought that it wouldn't rain again but it did until lunchtime when it eased and though not as bad as the previous year manged to carry out most events. 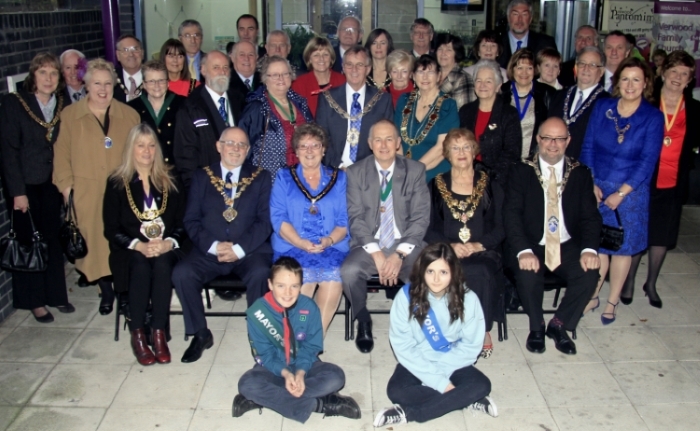 On Sunday the 6th December 2015, the Mayor of Verwood Cllr. 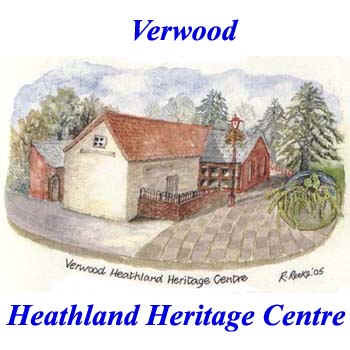 Sandra Grove and the Town Council welcomed civic dignitaries from the local area whp were met at the Verwood Heritage Centre by the Hillside Choir and given a talk on Verwood. Later at the Verwood Hub they were entertained on arrival by the "Verwood Choral Society"and later on in the hall by local singer Courtney Manston. A contingent of the "Verwood Concert Brass" closed the Reception. Brenda Slade of Verwood is awarded the British Empire Medal. The civil Division of the Centre Chancery of the Orders of Knighthood at St James Palace, London SW1 announced -"The Queen has been graciously pleased to approve the award of the BEM (Civil Division) to Mrs Brenda Margaret Slade" of Verwood "for services to Westminster Abbey and the Creation & Preservation of Ceremonial Garments." 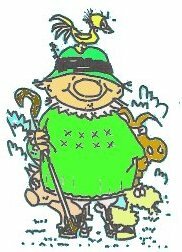 2016 - January Verwood Pantomime Society presented its Annual Pantomime at the HUB. - Beauty and the Beast by Alan P Frayn. 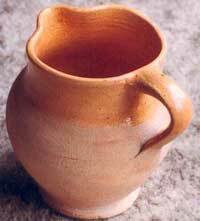 The Society has been running for 31years and performed many traditional pantomimes, and has used the HUB since 2008. 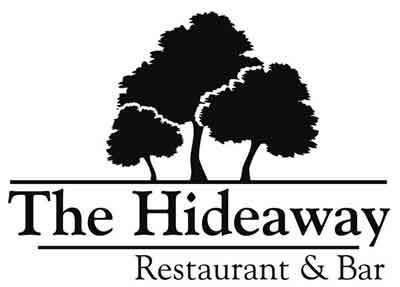 29th January The Hideaway - Restaurant and Bar - which occupied the "Old British Legion" and "Club 31" premises at 17 Moorlands Road, Verwood, BH31 7PD closed on Friday the 29th January 2016. It survived for 3 years but although serving excellent food was not popular enough..
Fred Bailey who founded Baileys Electrical (F.C.BAILEY (UK) LTD) in 1954 died in February 2016. 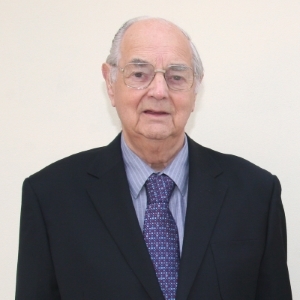 - the picture shows Fred in 2009 at the Memorial Hall Celebrations. Cllr. 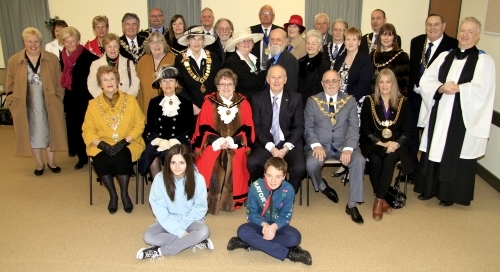 Mrs Sandra Grove, the Mayor of Verwood with Invited Guests for the Civic Service held in St. Michael and All Angels Church. Our friends from Champtoceaux et Orée-d'Anjou visited Verwood from the 7th of May to the 8th May 2016. 30th May Verwood Carnival took place at the Fuzzy Bit off Crane Drive. After the procession, "The Poole Field Gun Display Team", "Solent Dogs", "Falconry", and "Meridian Marching Band", entertained the crowd. 29th Aug. VERWOOD RUSTIC FAYRE 2016 was held at Potterne Park Verwood on August Bank Holiday Monday from noon - 05:30 p.m. After 2 poor years the weather was much better and a successful and profitable day was held. 9th Nov Hillside First School celebrated its 50th anniversary with a "Celebration Tea Party" held in the afternoon at the school. Hillside first opened its doors in 1967 on its present site where it has recently undergone major rebuilding work.